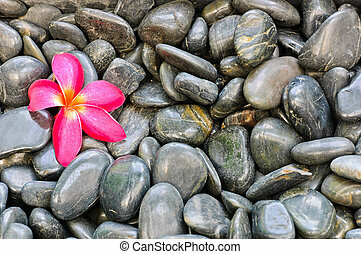 Frangipani on stones. 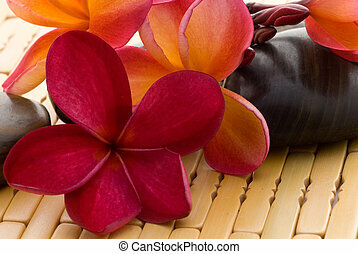 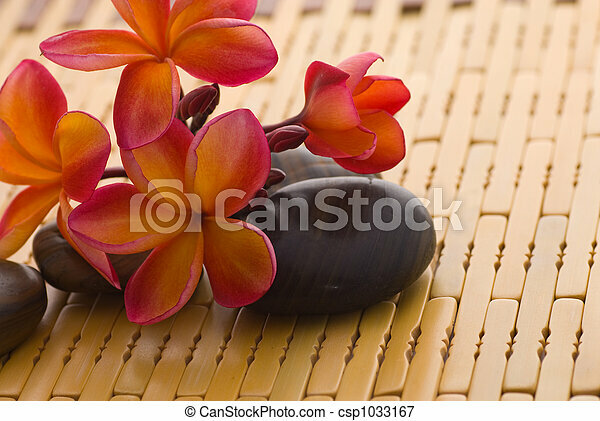 Frangipani and polished stone on bamboo mat. 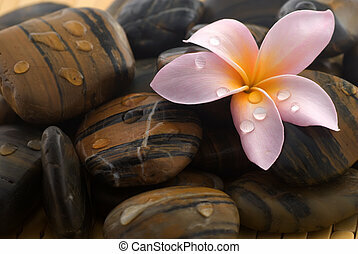 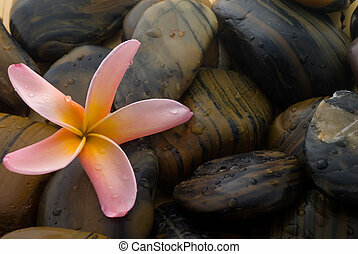 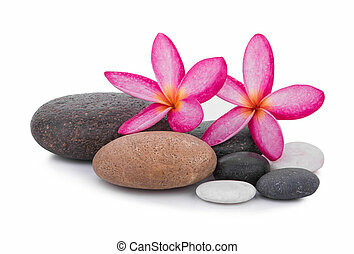 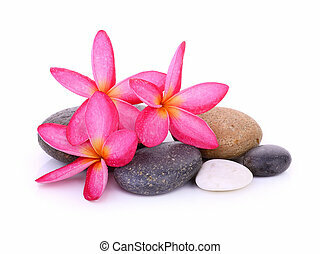 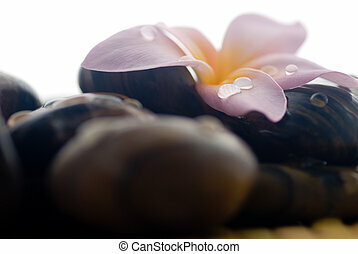 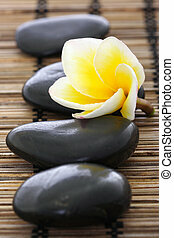 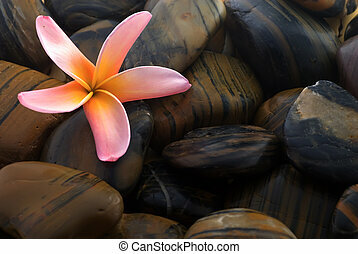 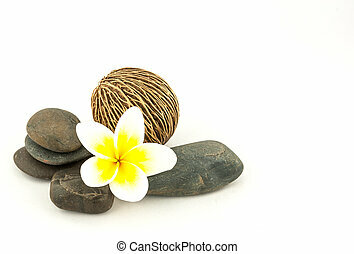 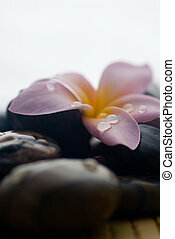 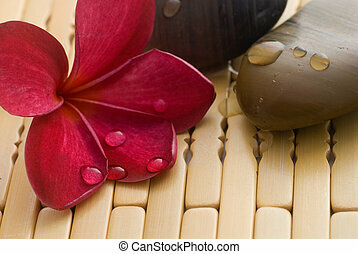 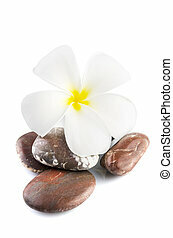 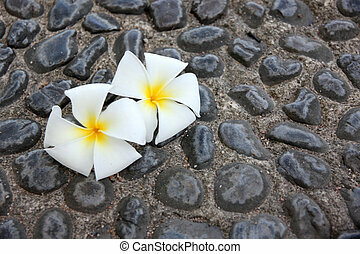 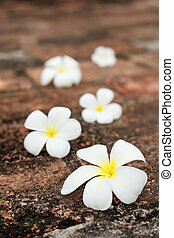 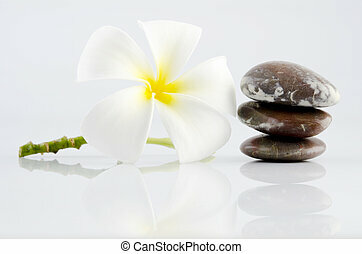 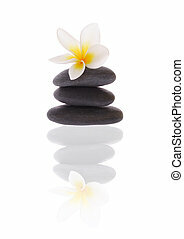 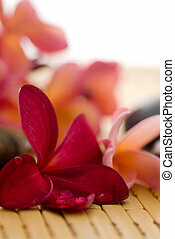 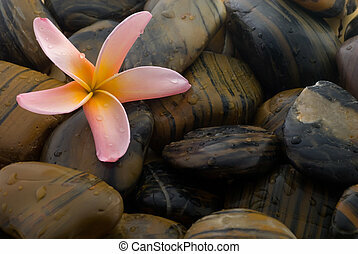 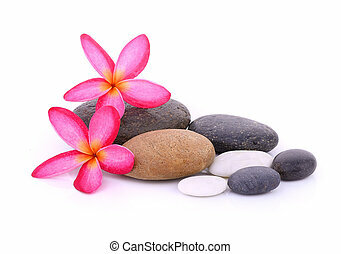 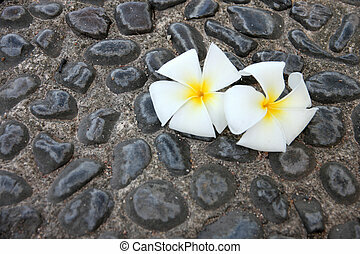 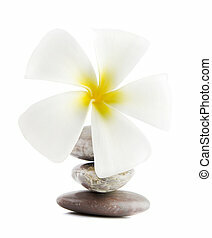 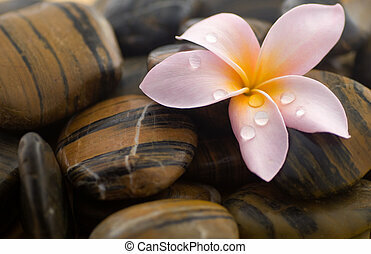 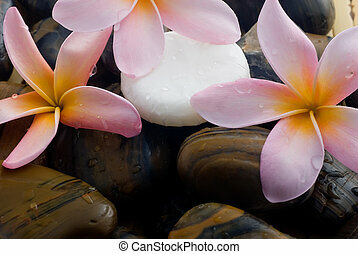 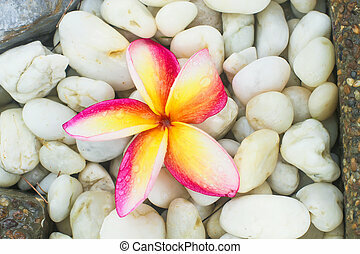 Frangipani on stones, (Plumeria) isolated on white background. 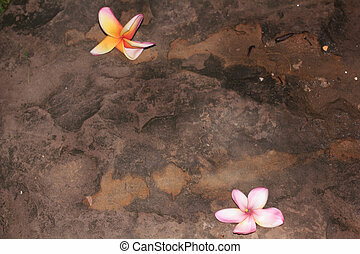 White frangipani on decorative stones background in the garden. 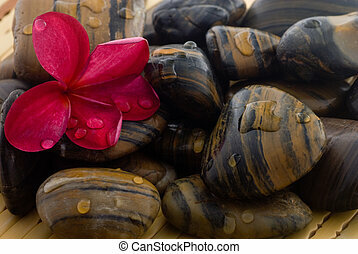 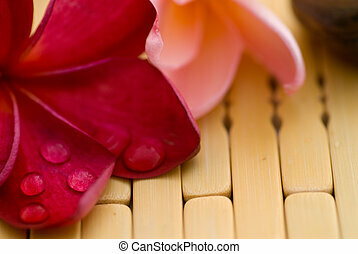 Aromatherapy and spa massage on tropical bamboo and polished stones. 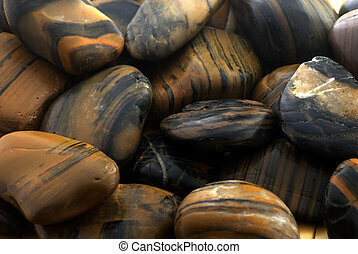 Polished stones for aromatherapy session.